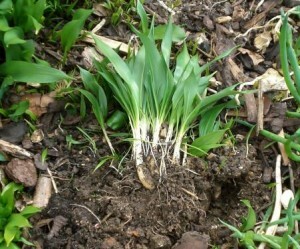 Remember to lift your nose and smell what’s out there… wild garlic is on its way! I was reading an article in the Guardian online that claimed spring flowers have come out between two and twelve days earlier in the past quarter of a century than they have in any other previous 25-year period. It’s all got to do with the 1o rise in temperature apparently. The reason I was googling this particular fact was because Spring feels early to me this year. I’ve been using purple sprouting broccoli for almost three weeks and my run from home to work has been an explosion of snowdrops and crocuses for well over a month. In fact, now, the daffies are nodding their heads in full bloom at me as I whizz past, earphones in and one less layer on my top half. Spring even spreads across the faces of us humans as we begin to shake off the winter blues and pick ourselves up. It has been an incredibly mild winter here in Perth and I can’t help feeling we’ve dodged the worst of the snow and rain that has plagued us so badly in years gone by. The same cannot be said for our neighbors down south unfortunately, who have been punished several times over this winter. As a runner spring means longer, more enjoyable runs and the start of my sporting season. I did manage an off-road half marathon in cold old February but I am relieved to be rummaging around in my sock drawer for my sunglasses case rather than an extra pair. There is no better feeling than being among the hills and farmland of Perthshire with your favourite playlist in your ears and the Spring sun on your back. I was out the back of Collace the other morning and ran past a vast pile of neeps; what else to do on the run home but devise a dish to make good use of this amazing year round vegetable. We were filming on Sunday for the chef’s directory and I needed a starter that would bring a bit of WOW to the whole thing – the neeps inspired me, as you’ll see shortly when the film is released. Puree of turnip with hay smoked scallops served with crispy duck gizzards, pear and a whisky cream. Thank you running in spring! The early spring is a gift for all of us I’m sure, but this year it is especially welcomed by me. I’m out training for the Paris Marathon which is my first, although hopefully not last, International event. Fiona and I are leaving the kids at home and heading for three nights away in the world’s most romantic city. And I’m taking her running….! Well, to be fair, she’s taking me running. 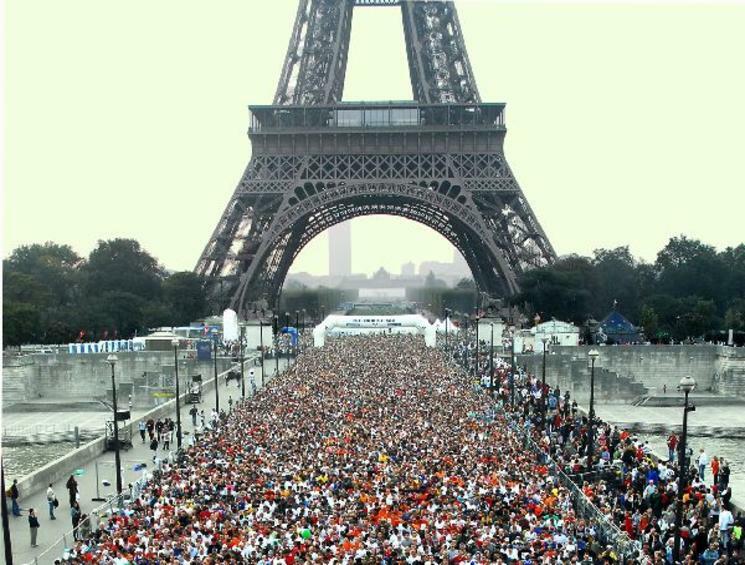 She’s booked us into the Saturday morning breakfast run at Eiffel Tower which promises soup and croissants after a three mile run. This though is not the food lover’s experience I am most looking forward to; I have heard of a bistro by the Champs Elysees that serves the best French Onion Soup you have ever tasted in your life. The marathon starts and ends just across from here and I can picture myself limping in at the end and eating French Onion solidly for hours. I’ll be in there somewhere! I digress! Spring has sprung and I’m here to write about the kitchen in its time of annual rejuvenation. Everyone is just that little bit happier. Ralph has looked out his Summer jacket, ‘Cole is wondering how to get every item of this season’s fashion into her wardrobe and Valentina is accepting the fact that she will see even less of Brad as the new fishing season enjoys weather worth casting a rod into. In fact, on Sunday past, Brad talked me and Chandos Elletson into a day on the river. 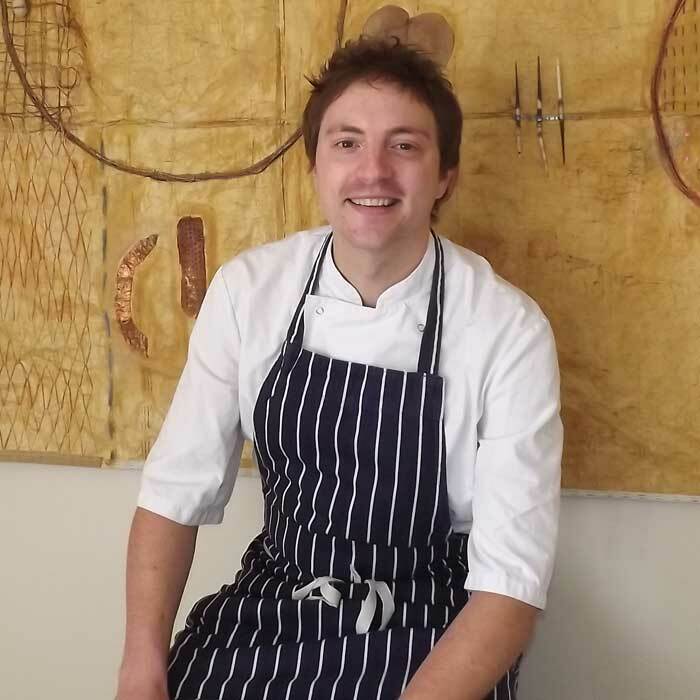 Chandos was in doing the filming for The Good Food Guide, Cool Cucumber TV and The Chef’s Directory – the afore-mentioned scallops and neeps were a huge success! 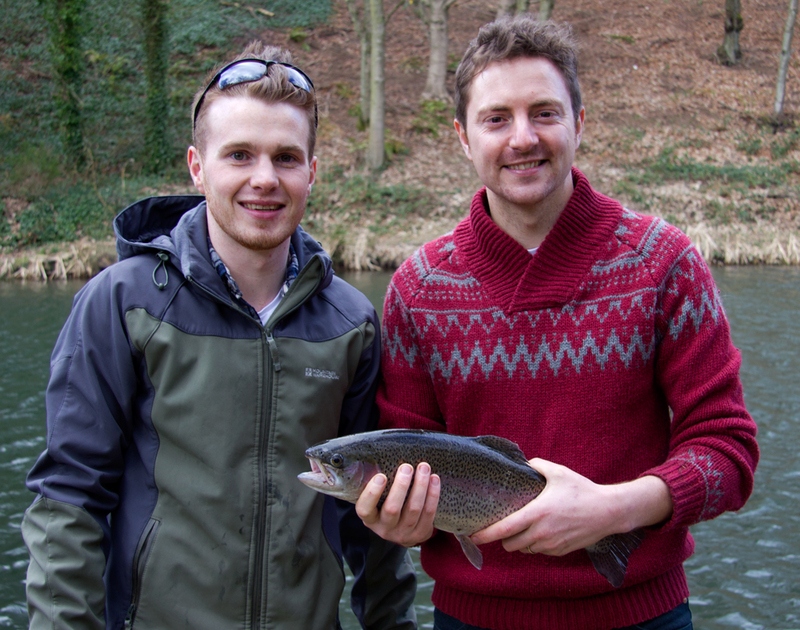 – and we all ended up out on the water getting a lesson from young Brad. It was a tremendous day as you can see from the catch ;-). I’ve taken a bit of a pasting on facebook for this jersey! One of the reasons Brad and I work so well together in the kitchen is his passion for the ingredients equals my own. At this time of year they are coming in thick and fast and we are up for the challenge. Don’t get me wrong, I am not reneging on my love for the autumn kitchen and its glorious array of game, root veg, pulses and tropical fruits. It’s just that come spring we are to be guided by nature in Scotland. The last of the blood oranges and rhubarb make way for the purple sprouting broccoli, wild garlic and leeks, brown trout, clams and cockles. 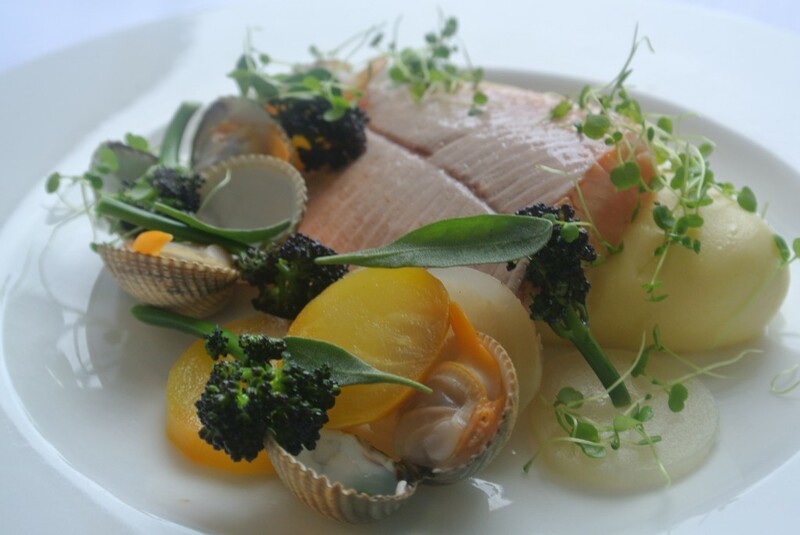 It inspires us into creating new dishes and that’s what you live for as a chef; like this Sea Trout with cockles, beetroots, purple sprouting broccoli, sea herbs, baby watercress and creamed jersey royals. Jersey Royals. Sigh. I have a great number of family ties in Jersey and I have always had an affinity with her shores and produce – a future blog I’m sure! Another of my favourite ingredients that is just around the corner is the outstanding asparagus from Easie Farm in Glamis. The season is short but intense and it shares its late spring date with an abundance of watercress, the best superfood you will eat. We’ll likely serve up both of these wonderful veg with the late season’s venison and wood pigeon. And as a special treat this year, our friends who supply us with the amazing quail eggs you all enjoy at 63, are also doing honey. The list grows daily as Ron, our forager, comes into his own and pours the season’s wild offerings onto me and Brad. He chaps at the kitchen window every so often with unexpected treats like wild leeks and garlic, horseradish, ‘chicken of the woods’ (a type of mushroom), orange birch, girolles, monkey puzzle nuts, brambles, wild herbs and sorrel to name but a few. No two deliveries from Ron are the same, and I love that! I know I am at the mercy of the seasons; four times a year for the past 20 years they have guided my passion. My motivation in life isn’t a Michelin star, an award, celebrity status. It is simply to spend as long as I can in the kitchen loudly beating the drum for Scottish seasonal produce. It is this that gives me the love for what I do and keeps us all passionate and happy. It more than makes up for the stresses of running a restaurant and it drives me to continuously improve our standards, maintaining a true respect for these wonderful seasonal ingredients. PS If you’d like to taste some of these great Spring ingredients then why not join us on Wednesday April 2nd for the monthly Slow Food Dinner?